People in Japan are masters of minimal living, able to make do with less in all aspects of life, whether it's de-cluttering personal belongings or savvy seasonal cooking. 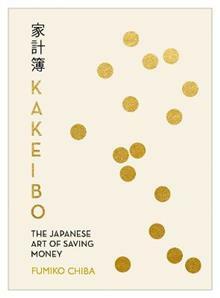 But at the heart of all this is the kakeibo: the budgeting journal used to set savings goals and track spendi... read full description below. People in Japan are masters of minimal living, able to make do with less in all aspects of life, whether it's de-cluttering personal belongings or savvy seasonal cooking. But at the heart of all this is the kakeibo: the budgeting journal used to set savings goals and track spending. The premise is simple: at the beginning of each month you sit down with your kakeibo and think mindfully about how much you would like to save and what you will need to do in order to reach your goal. The kakeibo then gives you space to jot down your weekly spending and reflect on the month just gone. The simple act of completing your kakeibo ensures that saving is a part of your everyday life, while also giving you the opportunity to reflect and improve every month.